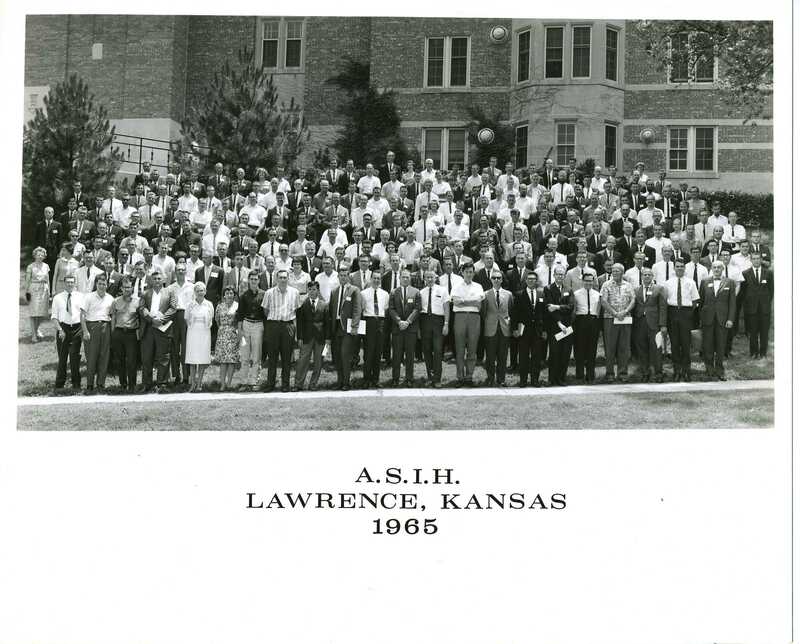 A documentary film company recently contacted the Archives because it holds the records of the American Society of Ichthyologists and Herpetologists (ASIH). The documentary focuses on ichthyologist Sylvia Earle, a member of the society. 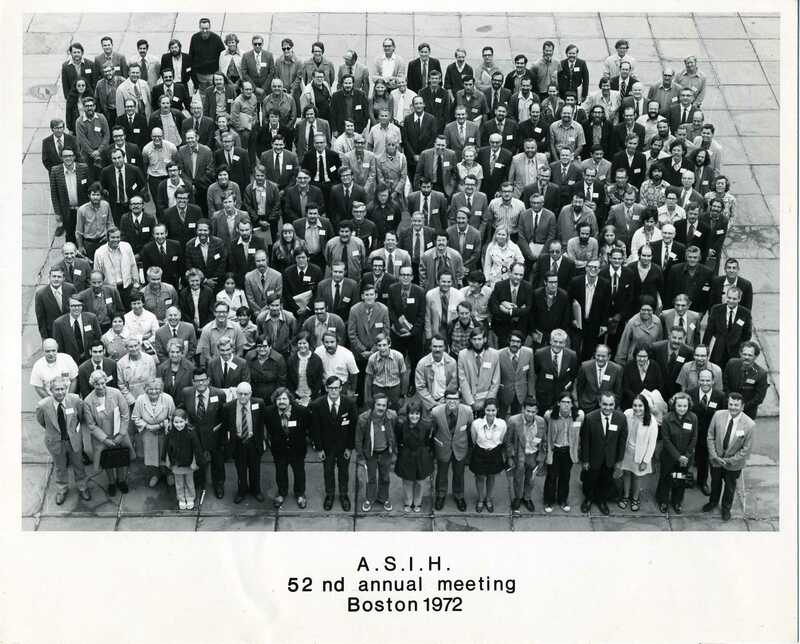 I began searching through group photos from the ASIH's annual meetings - a worthy occupation, but understandably lacking in excitement. However, my interest grew as I discovered a greater social significance in these photographs - the evolution of everyday clothing during the last quarter of the 20th century. Please enjoy the slideshow below for more details. 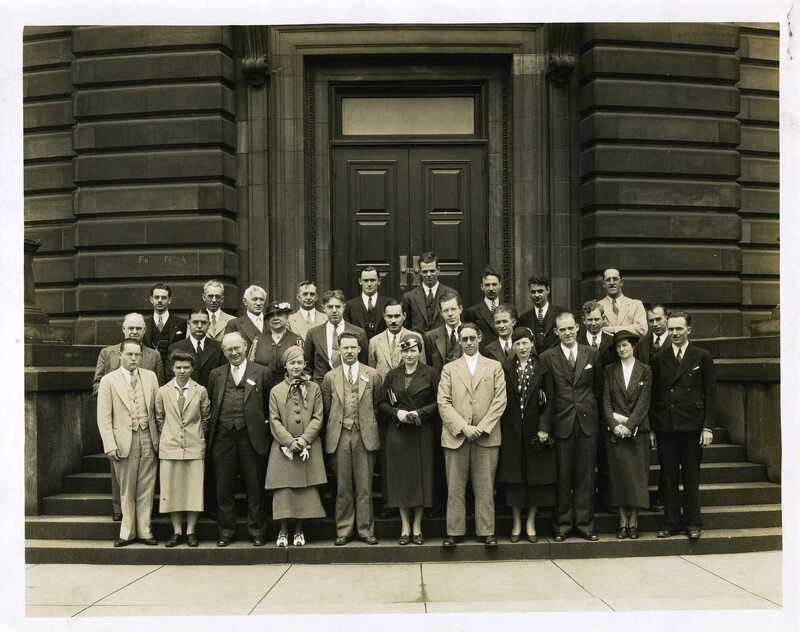 Let this 1935 photo serve as our control group. 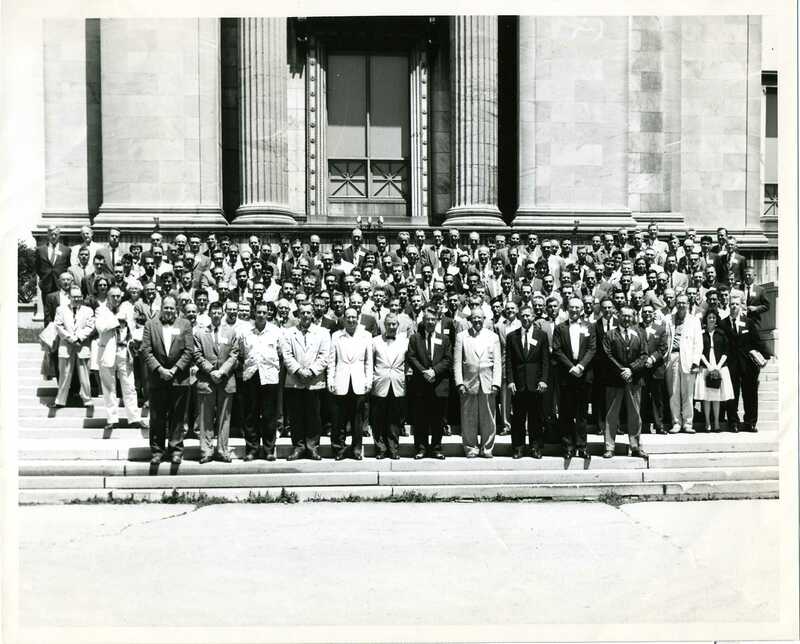 Note the men are wearing suits, vests, and ties. The women follow suit (excuse the pun) — one of them even sports a tie. Ladies wear hats. Accession 05-182 - American Society of Ichthyologists and Herpetologists, Records, 1916-1970, Smithsonian Institution Archives. 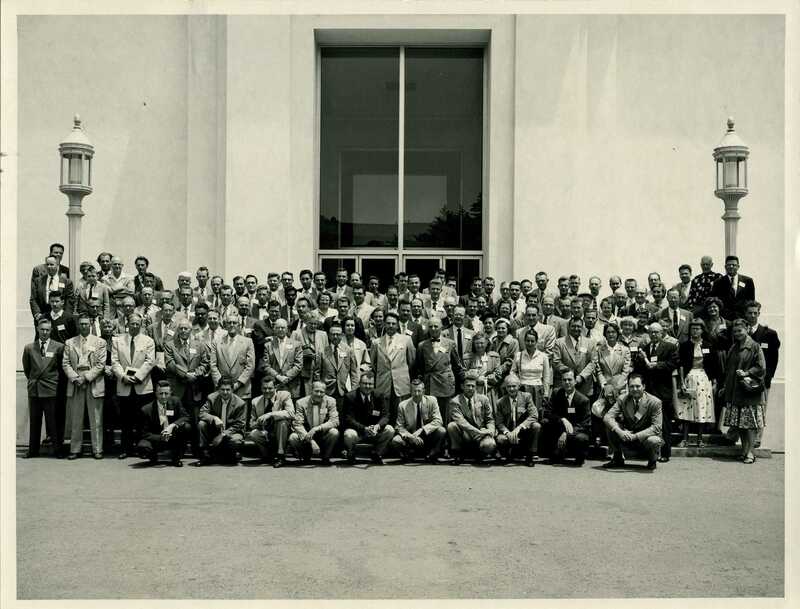 1955 - Although the men look very much the same, a few sports coats have made their appearance. The women have discarded hats, and are more likely to wear a skirt and blouse than a suit. Accession 05-182 - American Society of Ichthyologists and Herpetologists, Records, 1935-1997, Smithsonian Institution Archives. 1960 - Sportcoats increase in popularity. A few men forgo ties and spread their collars. One non-conformist shows up in a Hawaiian shirt. Accession 06-128 - American Society of Ichthyologists and Herpetologists, Records, 1935-1997, Smithsonian Institution Archives. 1965 - The shirt to jacket, tie to tieless ratios run about 50/50, although eliminating the jacket does not necessarily mean not wearing a tie. The women have embraced shirt dresses. There’s still one fellow with a Hawaiian shirt in the mix. Accession 06-128 - American Society of Ichthyologists and Herpetologists, Records, 1935-1997, Smithsonian Institution Archives. 1972 - Facial hair! Long hair on men! Windbreakers replace jackets! Plaids and stripes! Tennis shoes! Women in pants! It’s a veritable Cambrian Explosion in fashion. Accession 06-128 - American Society of Ichthyologists and Herpetologists, Records, 1935-1997, Smithsonian Institution Archives. 1977 - Formality in American dress has been vanquished. 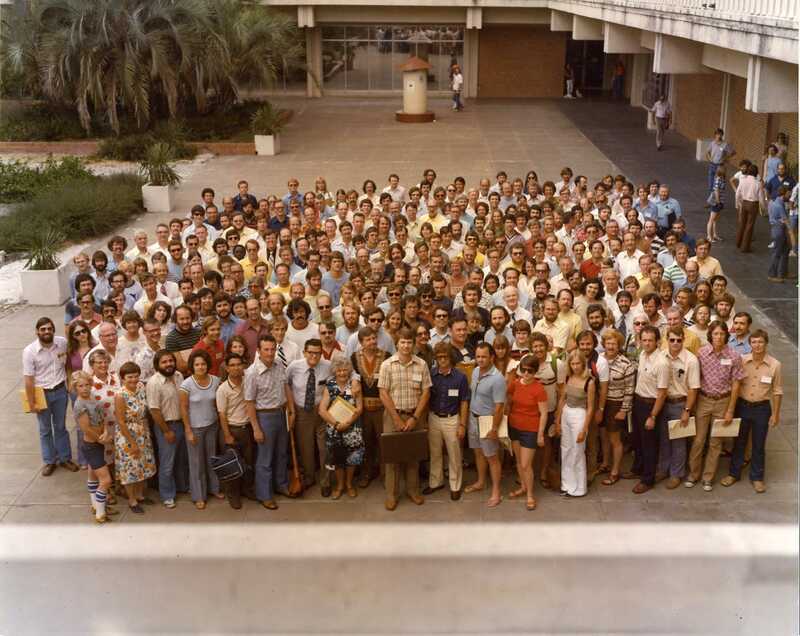 Only three visible ties, men and women in shorts and sandals, a man-purse, and a cut-off T-shirt on the young fellow flexing his muscles at the far left. Everything is in place for the institution of jeans and T- shirt as the universal American costume in the 1980s. Accession 06-128 - American Society of Ichthyologists and Herpetologists, Records, 1935-1997, Smithsonian Institution Archives.